Once again when I sat down to crochet last night, I pondered what to work on… I have several works in progress… Lots of things on the back burner and I really felt like whipping something quick up… again! 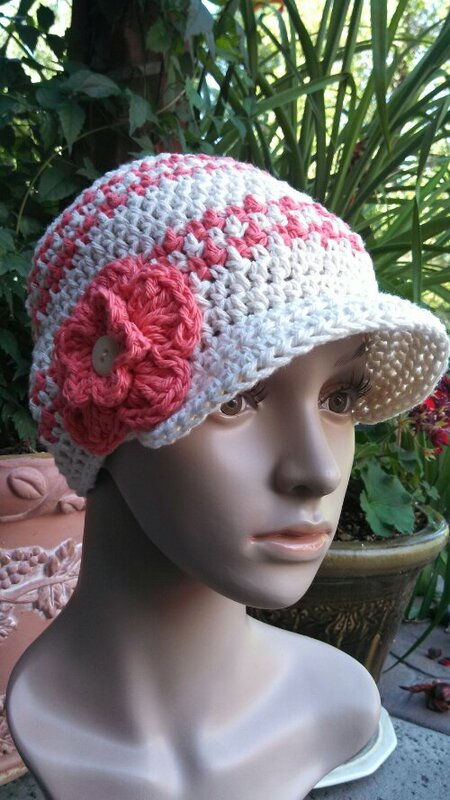 This is my first hat with the feminine touch… Tuesday nights project! 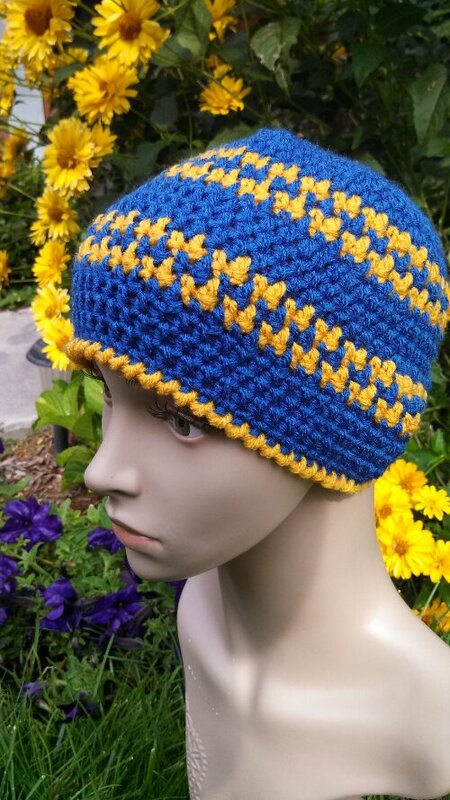 I decided to go with my daughters school colors for the first hat of the night.. “Blue and Gold”… I loved the way it turned out!!! The second one I whipped up was just colors I love… Grey and Berry! 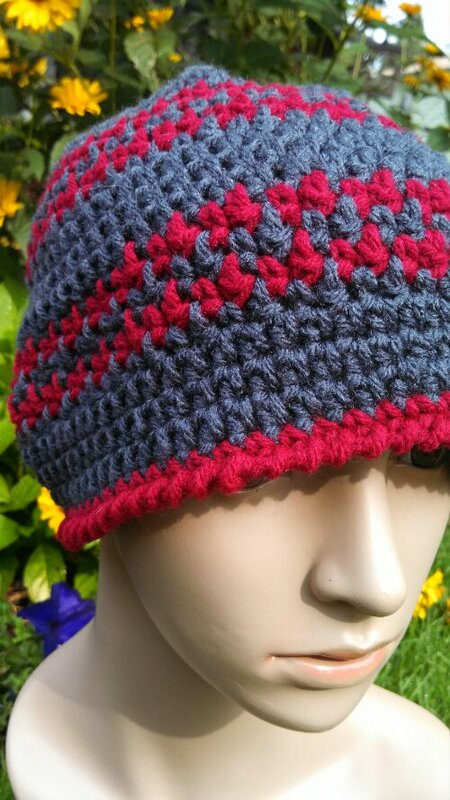 Grey and Berry Hounds Tooth Hat…. 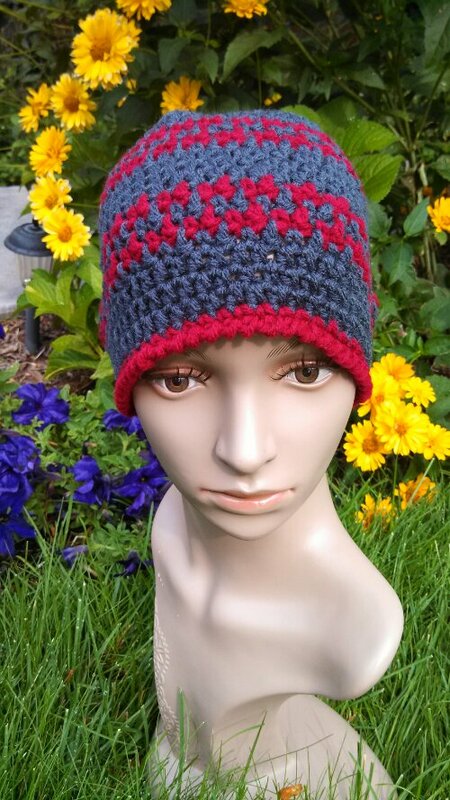 Wednesday Night Crochet… 2 Hats in 4 hours… Whew!!!!! I can see making tons of these for my shops I sell in… They will be a hit! Pop over to Kathy’s Blog to see more of her fantastic designs!!! Elk Studio Handcrafted Crochet Designs, Great designs and wonderful Southern Style… Love her sight and Love her too,,, She is so inspirational! Don’t forget to join me on Facebook and also My Etsy store… Both just a click away on the sidebar on the right! 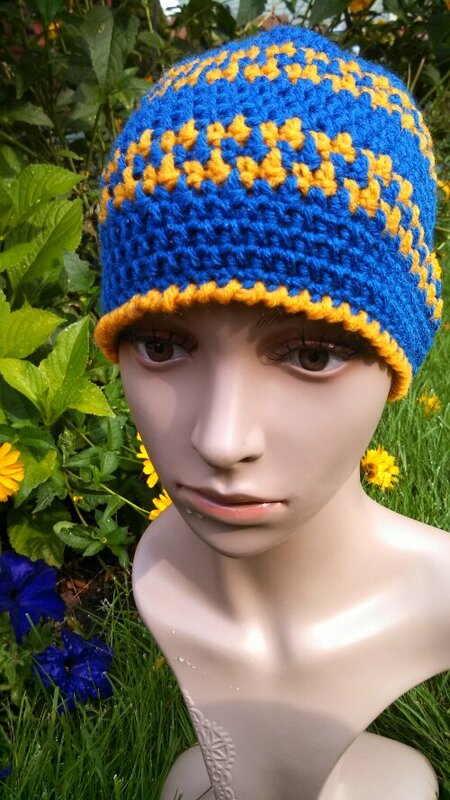 So here is to Hounds Tooth Hats, Crochet Obsession and School Colors!